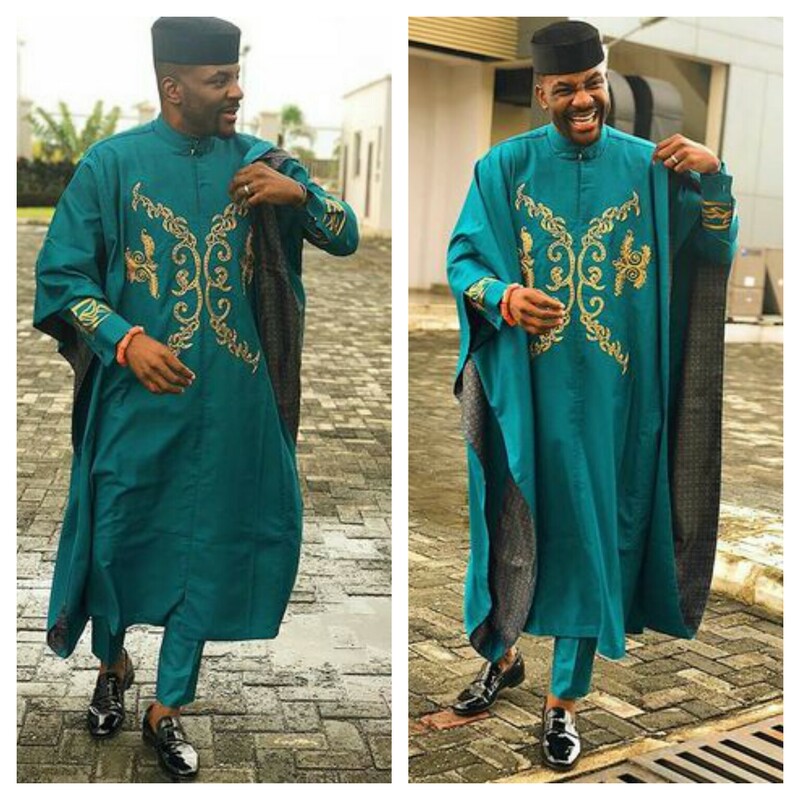 If there's anything everyone knows about ex BBNaija host Ebuka, he's widely known for his fashion sense and we can't be wrong if we label him as ambassado of Agbada's affairs here in Nigeria. It's barely a year now since Obi-Uchendu Ebuka stepped out with his ever eye catching agbada to Banky W and Adesua Etomi’s wedding, and just recently, the fashion icon has wowed everyone as he steps out in for Lala & Chef Fregz’s wedding with another breath-taking agbada. Though he isn't the only one wearing agbada at Lala & Chef Fregz’s wedding but he sure got the attention of everyone. 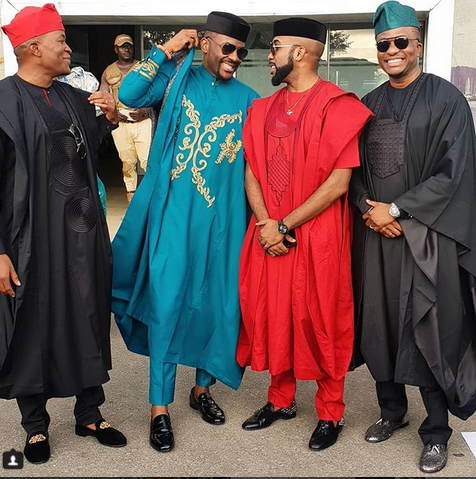 Below are photos of him, Banky W and others.